I can't believe... that Dom's nana had a friend coming to stay for week. That friend? Turned out to be my neighbor at my lake house who I have known literally my entire life. This stuff does not happen! Small world stuff freaks me out. And also makes me really happy. I can't believe... how lucky I am to be so overwhelmed by planning my future. This year will being so many changes, and it's hard because my life could go into so many directions. I'm overwhelmed because I have so many opportunities, and I'm thankful for every one of them! I can't believe... last week when Dom's best friend was here they went out on a Monday night. Since I had work the next day, I didn't go with them. They were only going to be out an hour, and by about 2am I was worried and texted to see if everything was okay. They said all the ATMs were out of order so they couldn't take a cab home. Of course I told them to just get a cab and I'd give them cash when they got home. So, they said they had a ride and then both of their phones died. It should have taken less than 10 min for them to get home, so after 45 minutes I was worried again. Turns out, they did not have a ride but didn't want me to get out of bed when I had work, so they decided to WALK THE TEN MILES HOME. Through a not so safe area. They got home at 5:45. I had been up pacing all night. Then they got to sleep all day while I had to go to work. Someone was in the doghouse! 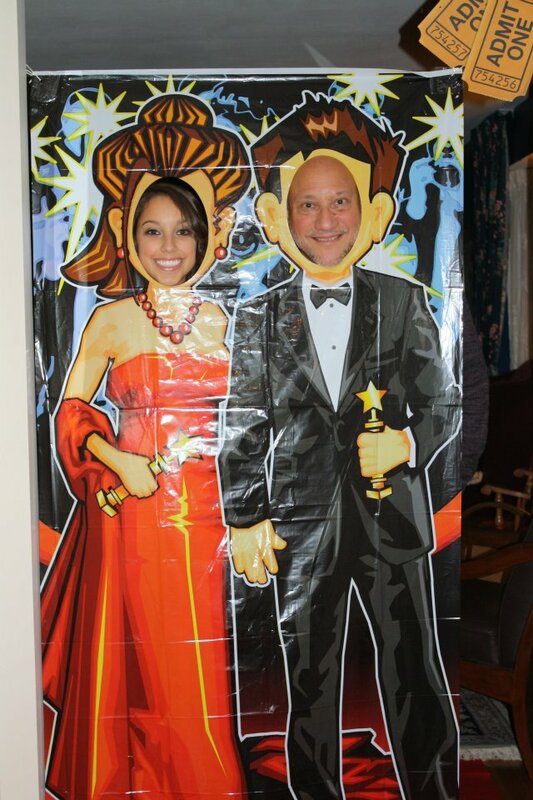 My dad and me last year! I don't watch award shoes, but that Oscar Party seems like a fun idea! Congratulations to Don for the MCAT scores. Walking ten miles home in a bad area? Eek! Congrats on his MCAT scores! TEN MILES?! That's just crazy talk. Omg, if my bf would have walked in the door alive, I would have proceeeded to murder him right then and there! wow small world things like that are so crazy! and your family looks like they have the best oscar party I've ever heard of! I can't believe you did not kill your husband. Sweet gesture for him not wanting to wake you up, but I would be freaking out! That's so fun that y'all have Oscar parties! :) You didn't miss much this year, so no worries. Awesome for Dom! Congrats to you two! Small world stuff is crazy! I haven't seen Safe Haven yet! Can't wait! And eww to Monday night! Way to go Dom on the MCAT!!! 10 freaking miles?!?!! They are insane. Oscar Party would be fun!! Congrats to Dom on the MCAT scores! That looks like a great party! And I haven't seen Safe Haven yet - can't wait! Omg! A ten mile walk in darkness! Totally a doghouse move (even though the intention was there!) 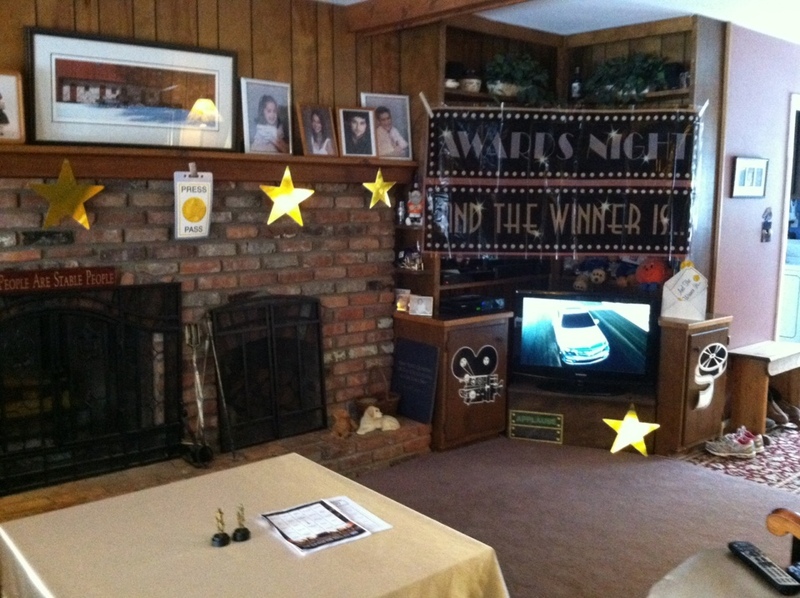 looks like a super fun Oscar party too! Found ya through Alexa. Hope you have a great weekend! Looks like you have a lot of fun things going on right now. Too bad you missed your fam's party though. Looks like a blast! Glad I stumbled upon your page, that oscars party looks so fun! Also, I guessed both plot twists of Safe Haven without reading the books hahahaha, it's SO hard for me to be surprised by something - but it was a good movie!! 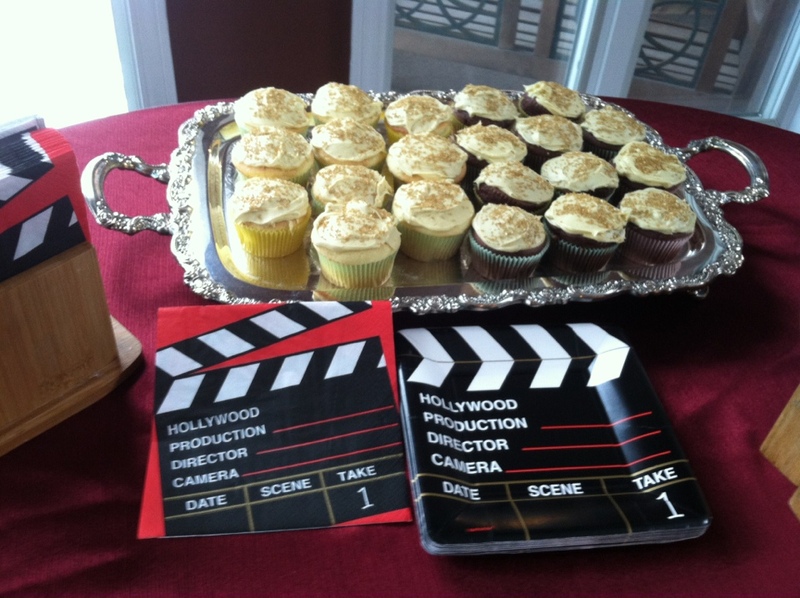 love that you have an oscar party - that is AWESOME! and Safe Haven was amazing! I hadn't read the book and I'm kind of glad. Where is your orange top from in the pic for this post - been looking everywhere for a cut like this!